Marginalised groups in semi-arid regions who live on the frontline of climate impacts will benefit if they are more actively included in climate adaptation governance. However, in these areas, governments struggle to deliver services or engage with local communities due to a range of factors, such as inadequate mainstreaming of climate concerns in development planning, staff capacity deficits at lower levels of governance, and limited technical expertise. We see fragmented decision making across different governance levels. Climate change adaptation responses could learn from widespread implementation of decentralisation, and how it has enabled, and in some cases undermined, the ability to support participation and flexibility across scales. 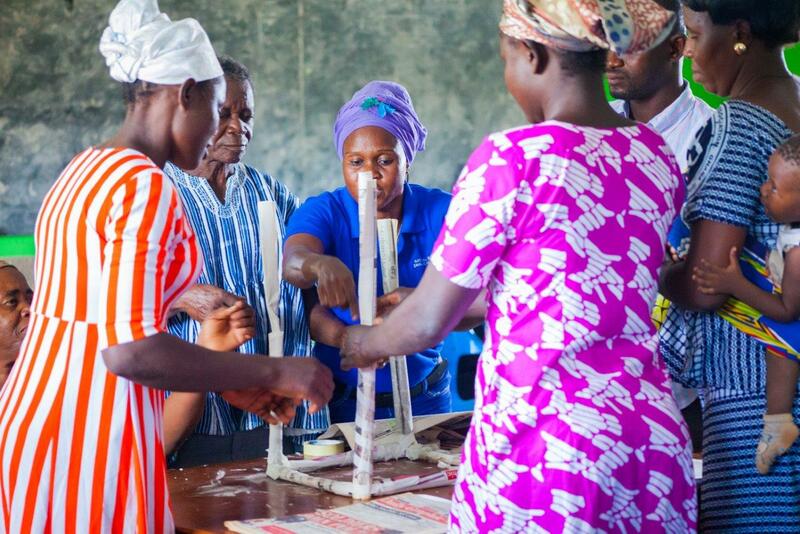 Strengthening governance, and the capacity to engage in decision making across scales, across actors, and between formal and customary governance structures, should be a priority for enabling effective adaptation. Doing so could enable more equitable participation, promote flexible, hybrid forms of governance, and encourage forward-looking, cross-scalar collaboration and knowledge flows. ASSAR concentrated on issues of governance in semi-arid regions, with a focus on what forms of governance will enable effective adaptation. The primary question we addressed was: How do existing governance structures help those most vulnerable to adapt to existing climatic and non-climatic dimensions of risk? Our research focused on the impacts of decentralisation in: the water sector in Namibia, Kenya, and Ethiopia; land tenure and customary law in Mali; and climate risk, vulnerability, and adaptation planning in India. Adaptation governance is often fragmented; there are disconnects across different levels of governance, and between ecological and administrative scales. Different institutions and actors often have overlapping, competing or antagonistic relationships with regard to adaptation-related responsibilities. Within different institutions there is often a lack of capacity and infrastructure for adaptation across scales, as well as limited planning that is flexible and forward looking, and which accounts for future climatic risks and impacts. As a consequence, marginalised groups often have to manage climate risks without the support they need. Disconnections between national, regional and local governments in semi-arid regions mean that intermediary entities often need to negotiate between local actors and government. With some of these intermediaries linking across different scales and across traditional and bureaucratic practices, hybrid governance arrangements are emerging to support adaptation. However, intermediaries often lack capacity in adaptation-related knowledge and decision making, and need requisite support to perform these roles. In semi-arid regions, traditional and customary institutions can play an important role in natural resource management and adaptation responses. In some cases, formalising or supporting these institutions has led to improved management of water, pasture land and forests. It has also led to the emergence of hybrid structures where traditional institutions collaborate with formal government agencies on land stewardship and resource management. However, conflicts between customary and formalised government arrangements remain, especially when the definition of mandates, authority, and roles and responsibilities is unclear. Ways of integrating traditional and customary institutions with government institutions need more attention. Integration holds opportunities for adaptation that recognises local needs and structures while acknowledging the role of government. People living in semi-arid regions hold a lot of local knowledge about adaptation challenges, and in many cases are responding to change. Future shifts in temperature and rainfall patterns as a result of climate change will put extra pressure on these communities, increasing their need for support. Although work is happening around climate change policy and the establishment of national priorities, this work is not yet feeding into or sufficiently supporting on-the-ground needs. At the local level, there is a lack of financial and technical support for communities to innovate for adaptation. Local capacity needs to be strengthened to adapt to long-term change and support engagement in multi-level governance processes and flexible planning. This capacity strengthening needs to build on existing skills and local knowledge while recognising that new skills are needed. Maximum benefit will be derived if the capacity support links to wellbeing, and aspirations, and is context specific. In the adaptation space, certain views dominate decision-making processes and the identification of adaptation priorities. For most potential adaptation responses, trade-offs exist. Frequently, these are insufficiently explored from the perspective of diverse groups, and dominant groups tend to have the final say. More attention needs to be paid to how to shift away from dominant views, to support processes and implementation that can include the priorities of the most vulnerable, who are often least able to support their own adaptation sufficiently. This is likely to require additional support from NGOs and intermediaries that can liaise between vulnerable groups, government actors and, at times, the private sector. Abass, R. 2018. Formal and informal institutions in climate change adaptation: the case of Lawra and Nandom districts in the upper west region. Master's thesis. University of Ghana. Link. Link to poster.Link. Arakali, A., et al. In prep. Funding adaptation: Using union government budgets to analyse adaptation spending in India. [Journal article]. Link. ASSAR. 2016. Barriers and enablers of climate change adaptation in semi-arid Ghana. [Information brief]. Adaptation at Scale in Semi-Arid Regions (ASSAR). Link. ASSAR. 2018. Do women farmers have a fair share of land for food security and sustainable adaptation? [Infographic]. Adaptation at Scale in Semi-Arid Regions (ASSAR). Link. ASSAR. 2018. Multiscale governance: The paradox of top-down policy design. [Infographic]. Adaptation at Scale in Semi-Arid Regions (ASSAR). Link to English infographic. Link to French infographic. ASSAR. 2018. Sometimes our interventions can lead to unintended consequences: A well does not always lead to wellbeing. [Infographic]. Adaptation at Scale in Semi-Arid Regions (ASSAR). Link. Basu, R. and Bazaz, A. 2016. Assessing climate change risks and contextual vulnerability in urban areas of semi-arid India: The case of Bangalore. CARIAA-ASSAR Working Paper. Adaptation at Scale in Semi-Arid Regions (ASSAR). Link. Bendapudi, R., Yadav, A., Chemburkar, S., D’Souza, M. and Thomas, R. In prep. Adaptation or maladaptation: Case of farm ponds converted into storage tanks in Maharashtra: Implications for groundwater governance. Link to poster. Bosworth, B., Hegga, S. and Ziervogel, G. 2018. 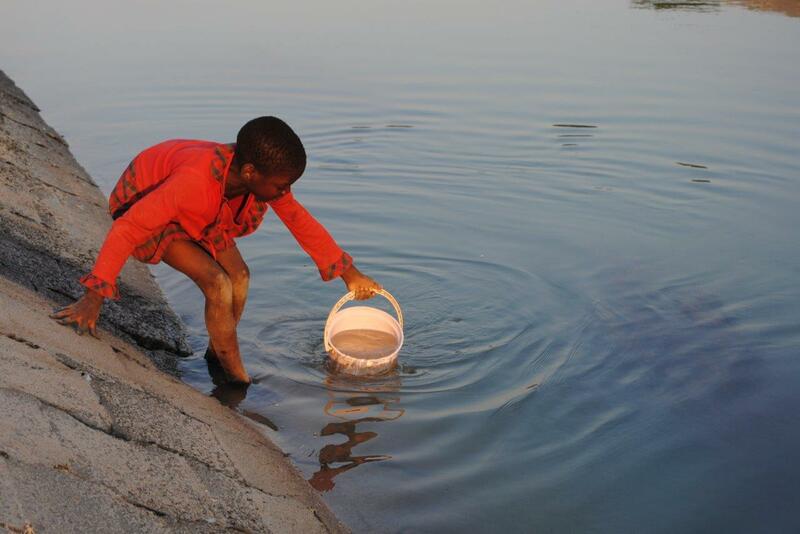 When participation is not enough: Lessons from decentralised water governance in Namibia. [Information brief]. Adaptation at Scale in Semi-Arid Regions (ASSAR). Link. D’Souza, M. and Misquitta, K. 2018. From me to we...from mine to ours! A story of how motivation changes people’s perceptions and drives community action. [Story of Change]. Adaptation at Scale in Semi-Arid Regions (ASSAR). Link. Davies, J. 2017. Barriers and enablers to climate change adaptation in north-central Namibia. [Information brief]. Adaptation at Scale in Semi-Arid Regions (ASSAR). Link to English brief. Few, R., Bendapudi, R., Mensah, A. and Spear, D. 2016. Transformation in adaptation: Learning from ASSAR’s regional diagnostic studies. CARIAA-ASSAR Working Paper. Adaptation at Scale in Semi-Arid Regions (ASSAR). Link. Hegga, S., Siyambango, N., Angula, M., Spear, D., Masundire, H., Molefe, C. and Morchain, D. 2015. Stakeholder and influence network mapping exercise with the government, development and research actors in Namibia. Adaptation at Scale in Semi-Arid Regions (ASSAR). Link. Hegga, S., Ziervogel, G., Angula, M., Spear, D., Nyamwanza, A., Ndeunyema, E., Kunamwene, I., Togarepi, C. and Morchain, D. 2016. Vulnerability and risk assessment in Omusati Region in Namibia: Fostering people-centred adaptation to climate change. Adaptation at Scale in Semi-Arid Regions (ASSAR). Link. Hegga, S., Kunamwene, I. and Ziervogel, G. 2018. Capacity of local actors to participate in decentralised water governance: Insights from northern central Namibia. [Presentation]. Adaptation at Scale in Semi-Arid Regions (ASSAR). Link. Hegga, S. and Kunamwene, I. In prep. Mapping actor influence in climate adaptation practices: The case of north-central Namibia. Link to poster. Michael, K., Deshpande, T. and Bhaskara, K. In prep. The political economy of climate change and vulnerability in a neo-liberal city: A case of Bengaluru's informal settlements. Link to summary. Pillai, S. and Ramkumar, B. In prep. 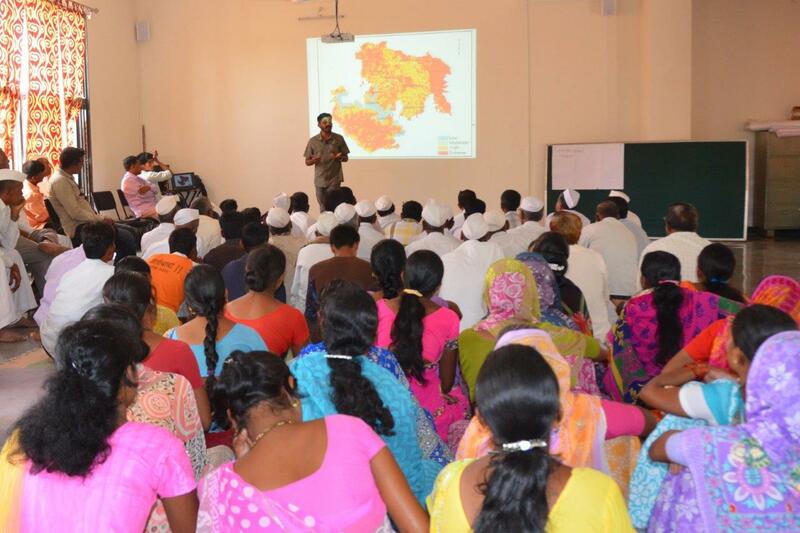 Inclusion of local aspirations in village development plans in Maharashtra. CARIAA-ASSAR Working Paper. Adaptation at Scale in Semi-Arid Regions (ASSAR). Link. Revi, A., Bazaz, A., Krishnaswamy, J., Bendapudi, R., D’Souza, M. and Pahwa Gajjar, S. 2015. Vulnerability and adaptation to climate change in semi-arid areas in India. CARIAA-ASSAR Working Paper. Adaptation at Scale in Semi-Arid Regions (ASSAR). Link. Sami, N. 2018. Localising environmental governance in India: Mapping urban institutional structures. In A. Luque-Ayala, H. A. Bulkeley and S. Marvin (eds.) Rethinking Urban Transitions: Politics in the Low Carbon City. London, UK: Routledge. Link to book. Link to chapter. Sidibé, A., Totin, E., Thompson-Hall, M., Traoré, O. T., Traoré, P. C. S. and Olabisi, L. S. 2018. 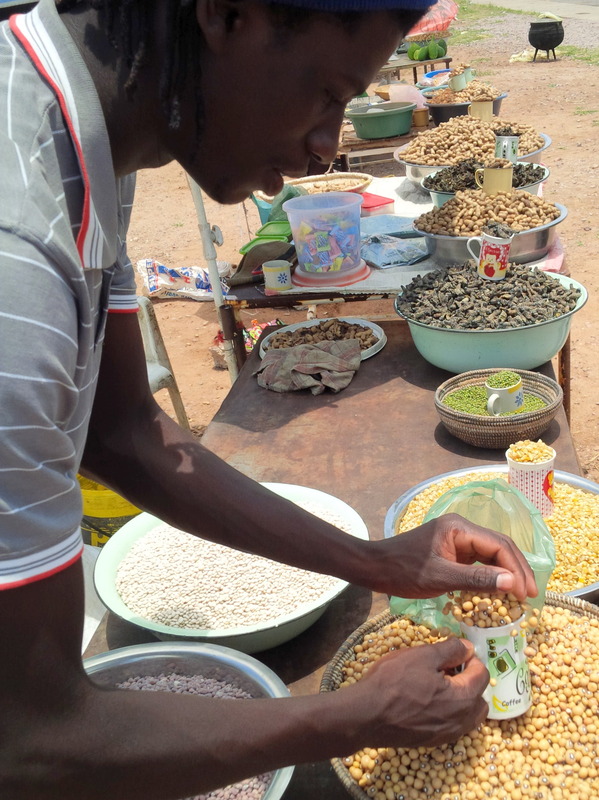 Multi-scale governance in agriculture systems: Interplay between national and local institutions around the production dimension of food security in Mali. NJAS - Wageningen Journal of Life Sciences, 84: 94-102. DOI: 10.1016/j.njas.2017.09.001. Link to summary. Link to English information brief. Link to French information brief. Tebboth, M. G. L., Few, R., Assen, M. and Degefu, M. In prep. Valuing Prosopis juliflora? An analysis of an alien invasive species in the drylands of Ethiopia.